The Southeastern Naturalist publishes articles that make me jump up and down with excitement. Most people, upon learning I read such obscure journals, think I’m weird, but I don’t care. I think people who waste money at outlet malls on junk they don’t need are weird. Anyway, what could be more exciting than an account of a coral snake swallowing a baby copperhead? A photograph of this occurrence (previously unknown to science) was published in the above mentioned journal. 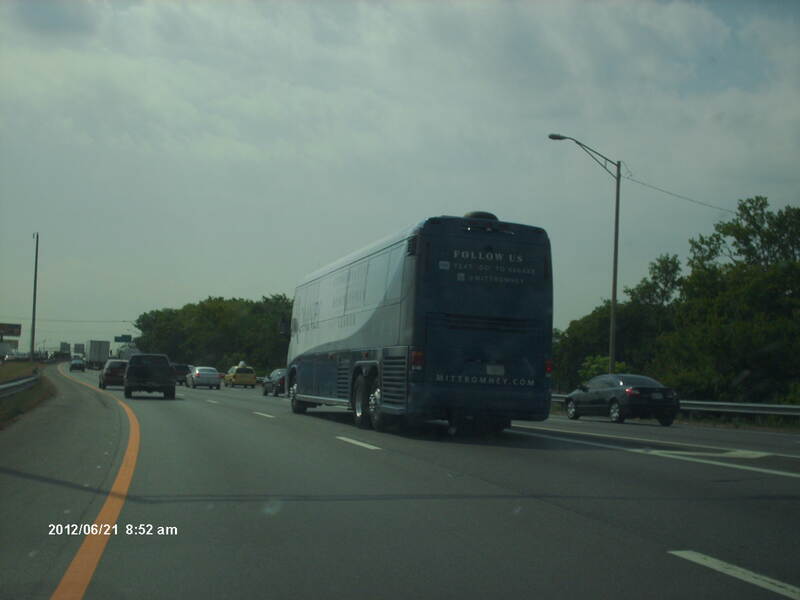 For some reason I can’t directly link the photo to my blog but the below link will lead to it. Coral snakes are in the same family of snakes as the deadly cobra. Like the cobra, their venom is a neurotoxin that can cause respiratory failure. Unlike America’s other poisonous snakes, however, coral snakes have small fangs and often can’t penetrate human skin. They are a shy small snake growing to just 3 feet in length and will retreat when approached by man. When they do bite, they cling on like a bulldog rather than striking and releasing. Each year, only an average of 15-20 people are bitten by coral snakes. One study found that 2/3rds of these bites occurred because an idiot picked the snake up. 33% of these idiots were drunk when they handled the snake. Coralmyn is the anti-venom used to counteract coral snake venom. Pfizer stopped making the drug in 2010 because bites are so rare it wasn’t profitable to make it. So be sure not to get bitten by a coral snake or the doctor will be standing around without a cure. Coral snake range. The eastern’s closely follows coastal plain pine forests. Coral snake. I’ve never seen one. When distinguishing between similar-colored snakes remember red on yellow will kill a fellow. Scarlet king snake aka milk snake (Lampropeltis triangulum). Remember red on black is a friend of jack. I did see one of these once at the Congaree National Park. Scarlet snake (Cemophora coccinea) A nocturnal species that feeds on other snakes’ eggs. Coral snakes are fossorial creatures preferring to live in sandy soils that support pine and scrub oak forests. They emerge from their burrows to hunt in the leaf litter for other snakes, lizards, frogs, birds, small mammals, and large insects. 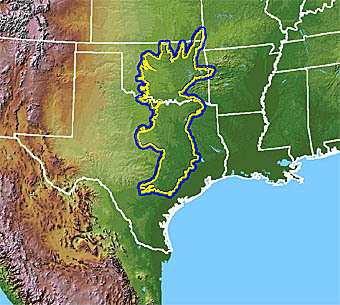 There are 76 species worldwide but only 3 live north of the Rio Grande. The eastern coral snake (Micrurus fulvius) lives east of the Mississippi, the Texas coral snake (Micrrus tener) lives west of the Mississippi River, and the Arizona coral snake (Micruroies euryranthus) lives in that state and Mexico. Some herpetologists think the eastern coral snake and the Texas coral snake are the same species. Pleistocene fossils of corals snakes are scarce. Coral snake fossils dating to the Pleistocene have been found in at least 3 sites in Texas including The Cave without a Name site, and Fyllon Cave; and they’ve been found in at least 4 sites in Florida–Vero Beach, Williston, Reddick, and Inglis. Some unidentified snake vertebrae from various fossil sites across the southeast may be of this species. 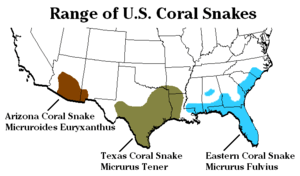 More than 3 species of corals snakes probably occupied North America during the Miocene and early Pliocene, but Micrurus fulvius or its immediate ancestor must have been the only one that evolved the ability to survive frosts by moving to underground burrows when the weather turned cold. Burmese pythons and American crocodiles often make the fatal mistake of basking in the sun on cold days rather than seeking shelter. This habit is what limits the range of many tropical species of reptile. This beautiful strip of land on the border between Kentucky and Tennessee was originally known as land between the rivers. The Tennessee and Cumberland Rivers flowed parallel to each other and often flooded the land in between. The floods enriched the soil, creating fertile farmland, but they were disastrous to homesteads. By the 1920’s a once-thriving iron smelting industry began disappearing because the trees being used to fire the blast furnaces had largely been felled. During the Great Depression the people living here had depleted most of the natural resources, and floods were ruining their only other remaining source of income–agriculture. The Federal government saved the region by creating the Tennessee Valley Authority. The TVA dammed the 2 rivers, creating Kentucky Lake and Lake Barclay, and in the process provided many much needed construction jobs and a long term source of hydroelectric power and flood control. 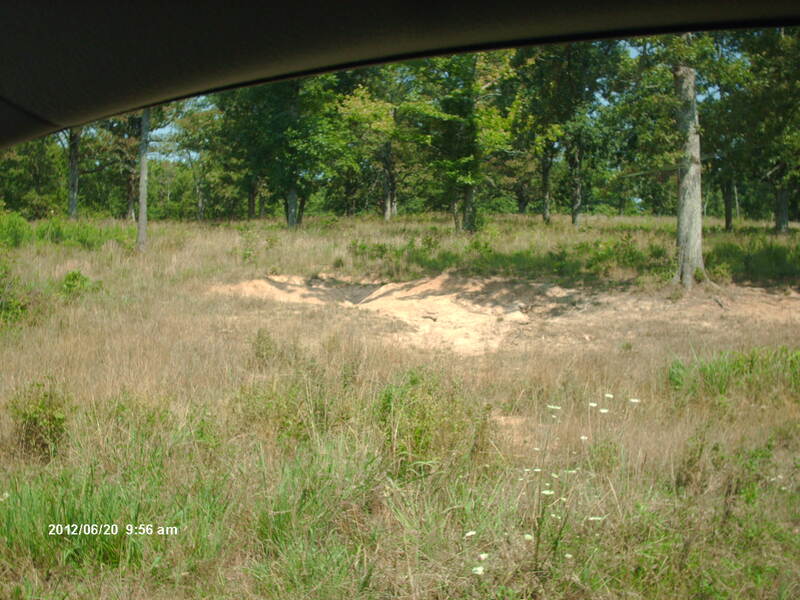 The Land Between the Lakes was protected and trees grew back. 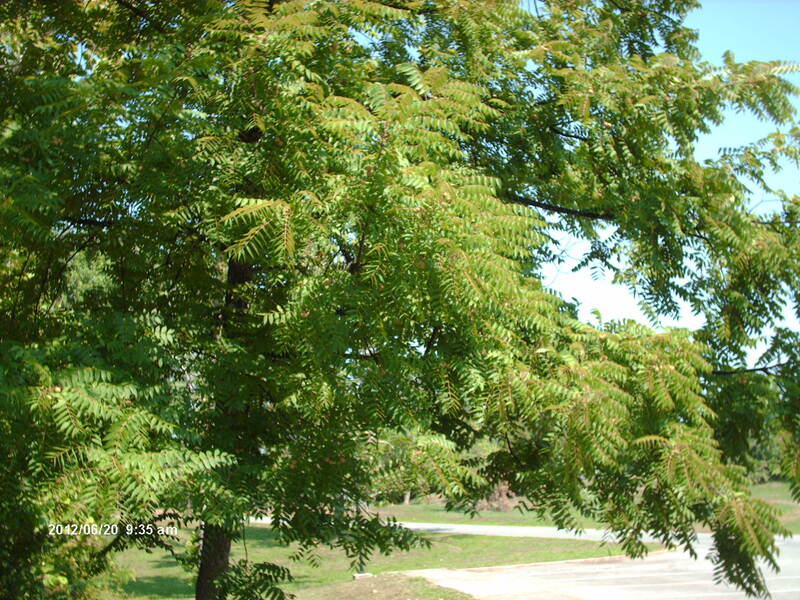 Black walnut trees are once again common in the forests of Land Between the Lakes. This surprised me. Thanks to the public works projects of the 1930’s, thousands of hillbillies and rednecks were elevated above poverty. Ironically, today this region is a stronghold of Ron Paul followers who believe in free market Laissez-Faire economics, lax regulations, and no taxes–a return to the policies that wrecked this region almost 100 years ago. They reject the federal government, the entity that literally saved their lives then. The stupidity and ignorance of Ron Paul supporters is astounding. If these tea baggers think the government is so bad, why do they want to be in it? Land Between the Lakes is the greatest natural area I’ve ever visited. From my cursory 5 hour survey, I estimate the upland is covered in about 80% hardwoods, 15% meadow, and 5 % pine. Much of 18th century North America from Ohio and Pennsylvania south to middle Georgia and Alabama looked like this. Note the buffalo wallow. There were buffalo wallows all along the road that went through the Elk and Bison Prairie within Land Between the Lakes. Biologists use fire to establish these 18th century-like landscapes. Imagine bigger trees and this is what much of the eastern half of the continent looked like when the pioneers first crossed it. Many Pleistocene landscapes probably looked much like this as well. Dominant trees include white oak, post oak, southern red oak, black oak, shagbark hickory, pignut hickory, sycamore, black walnut, sugar maple, red maple, mimosa, and cottonwood. Willow grows in the low areas. There are some wetlands but most were inundated by the reservoirs. I recognized 3 species of pine–shortleaf, white, and Virginia. I notice on the range maps that this population of Virginia pine is a disjunct one. Birch, juniper, and ash are also present. I forgot to try and identify the kinds of grass that grows in the meadows here but purple coneflowers and various species of coreopsis were blooming in abundance. Coreopsis is abundant in meadows this year everwhere from Augusta, Georgia to LBL. Heavy spring rains made for a good wildflower year. Most of the mature trees look to be about 80 years old, but I did see 1 exceptionally large white oak growing on land within “The Home Place,” a replica 1850 farm. This oak may have been growing on private property, and landowners saved it from the shortsighted iron smelters who were cutting all the trees down from 1870-1925. I estimate this white oak to have a diameter of almost 6 feet. Primeval forests consisted of widely spaced trees such as this. Imagine the photo of the bison wallow above juxtaposed with bigger trees like this one. Many shagbark hickory sapling grow in the shade of this oak. Several nice specimens of mature shagbark hickories grow nearby. 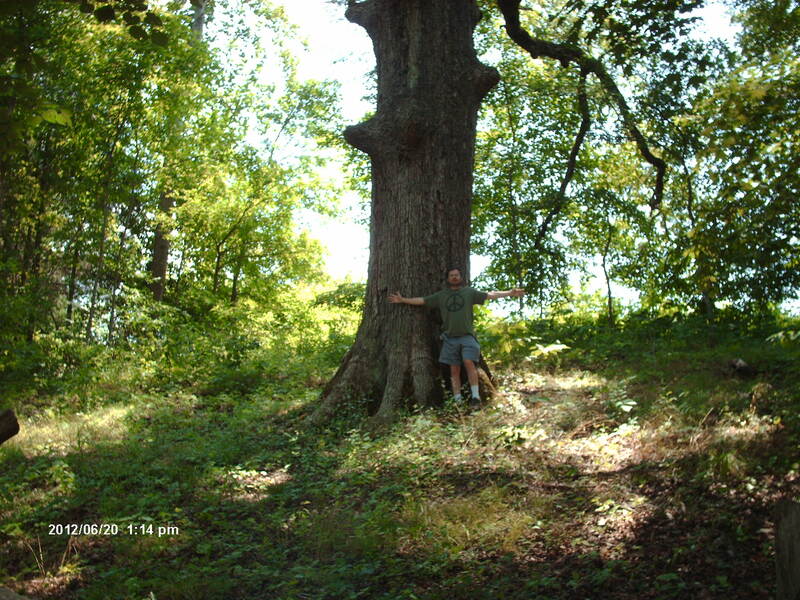 LBL is 250 square miles, and there probably are other trees surpassing this one in diameter. I enjoyed LBL much more than my trip to the Great Smoky Mountains National Park. The latter is crowded and holds little wildlife accessible to the public. We saw only a few people in LBL during mid-morning hours and maybe a few more in mid-afternoon. Despite the heat wave, an unfortunate stroke of luck, we saw lots of wildlife. At the Elk and Bison prairie we ran into a herd of bison and a flock of cattle egrets. They hardly noticed us. We also saw 2 small flocks of turkeys. 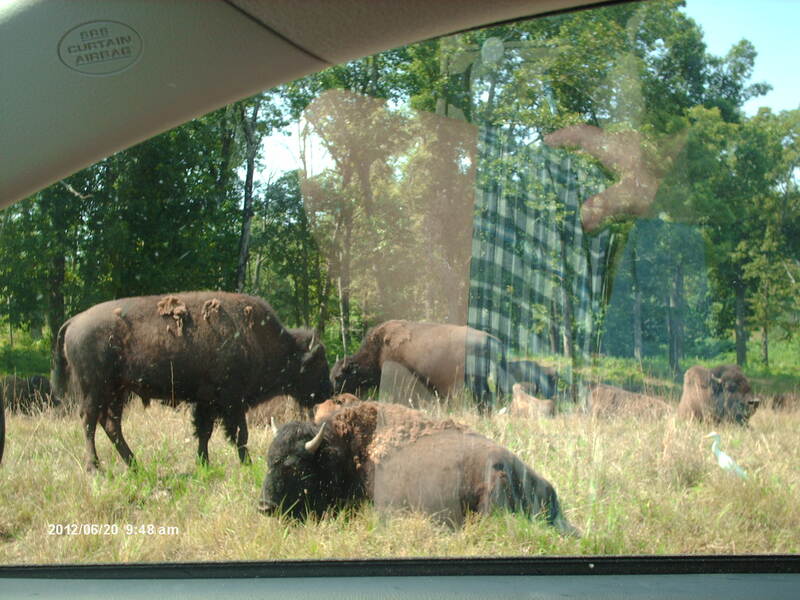 These bison must be used to cars. They didn’t budge, though the nursing calves hid behind the cows. Note the cattle egret, and the bison’s coat in the process of shedding. Bison wallows occur all along the road and flattened bison patties are visible. Cattle egrets, an African species, naturally colonized North America within the last century. Nobody knows exactly when or how. Presumably, a few flew here. 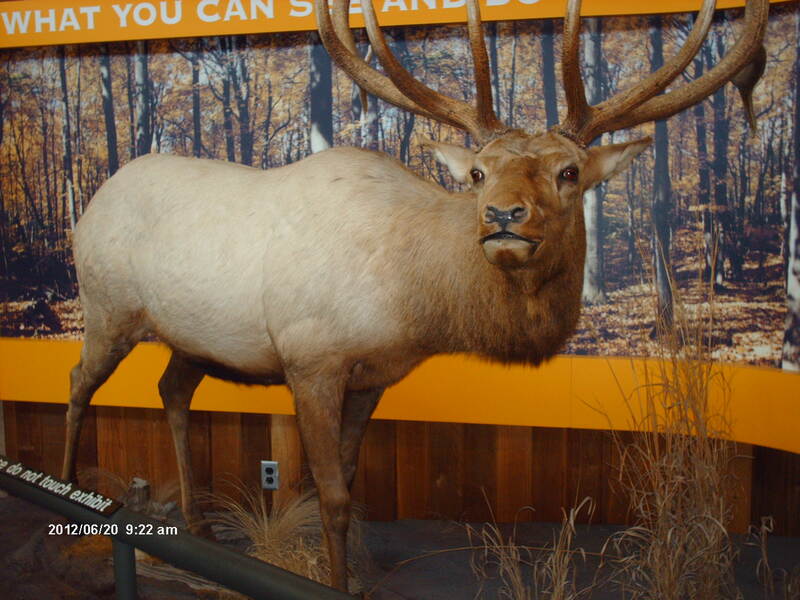 This is a mounted elk at the visitor’s center. Unfortunately, I must be destined to never see a wild elk. The hot weather forced the elk to bed down in the shade where I couldn’t see them. 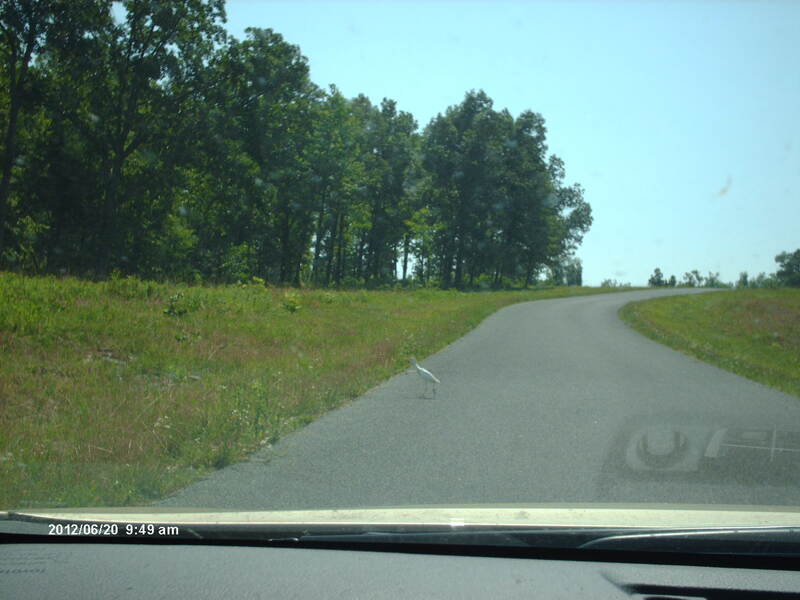 We saw several wild white-tailed deer in broad daylight, despite the heat, but they wouldn’t stay still for a photo. They are in their beautiful red summer coats. This is the time of year 18th century market hunters killed them for their hides. A buck skin was worth a dollar then, hence the slang “buck” for dollar. I suspect a person traveling through the length of LBL during dusk or dawn would see dozens of deer–LBL is just ideal habitat for them and so is the adjacent Fort Campell and Fort Donelson Battlefield Park. In addition to turkeys and cattle egrets, I saw brown-headed cowbirds, bluebirds, purple martins, eastern kingbirds, black vultures, turkey vultures, an unidentified hawk, a great blue heron, cardinals, and crows. 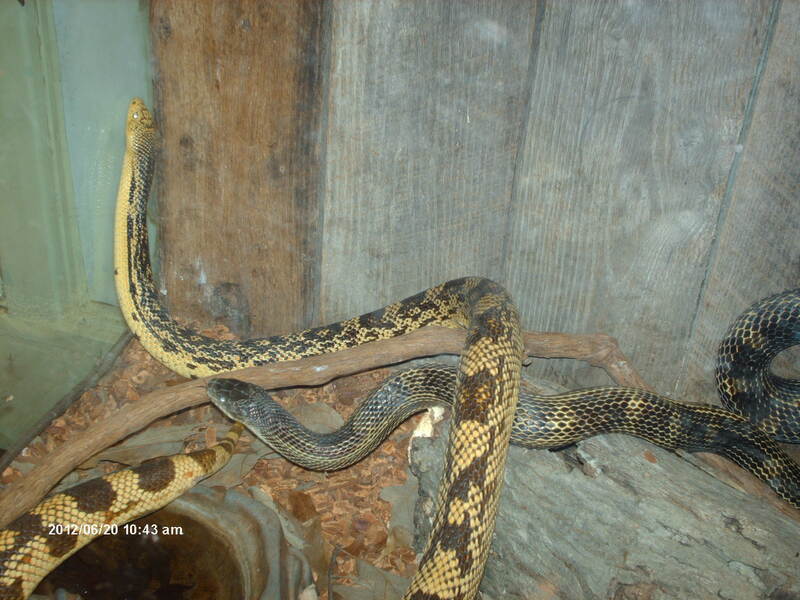 The Woodland Nature Center is a little zoo within LBL for orphaned and injured animals. Timber rattler. 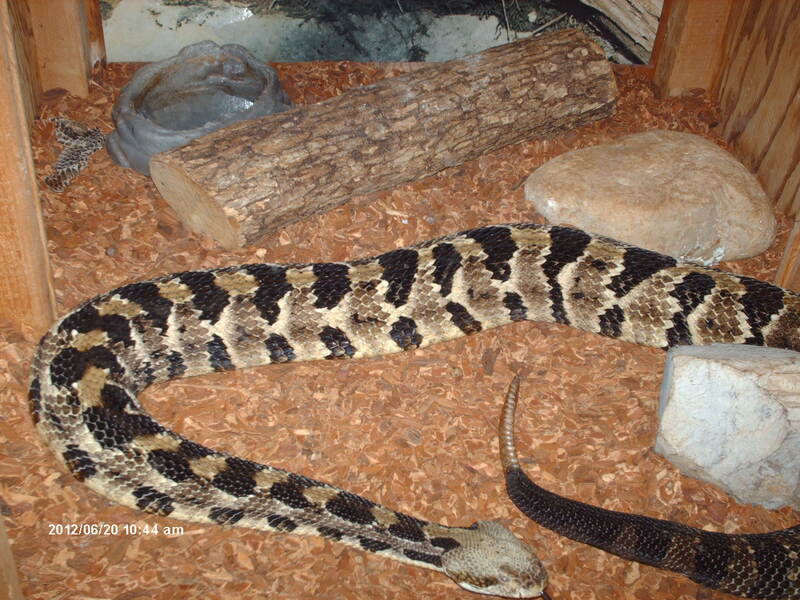 Accounts of early white explorers suggest rattlesnakes were abundant in pre-Colonial Kentucky. LBL is 20 miles from any town that is big enough to have a decent hotel. From Augusta, Georgia a traveler can choose from hotels in Clarkesville, or Paris, Tennessee. (There are plenty of campgrounds within LBL, but I like to sleep behind locked doors where tv is available.) We stayed at the Westgate Inn in Clarkesville and enjoyed a spacious clean room, a reasonable rate, an indoor swimming pool, and a generous breakfast bar, plus we got to witness a loud dispute between a tattooed customer suffering from a severe case of PMS and the hotel management who with the help of the police were trying to evict her and her family. Jim Oliver’s Smokehouse Restaurant in Monteagle, Tennessee. The food was so good we ate here for lunch on the way to LBL and on the way back to Augusta. It’s like a museum inside. This restaurant deserves high praise for serving authentic fried pies. 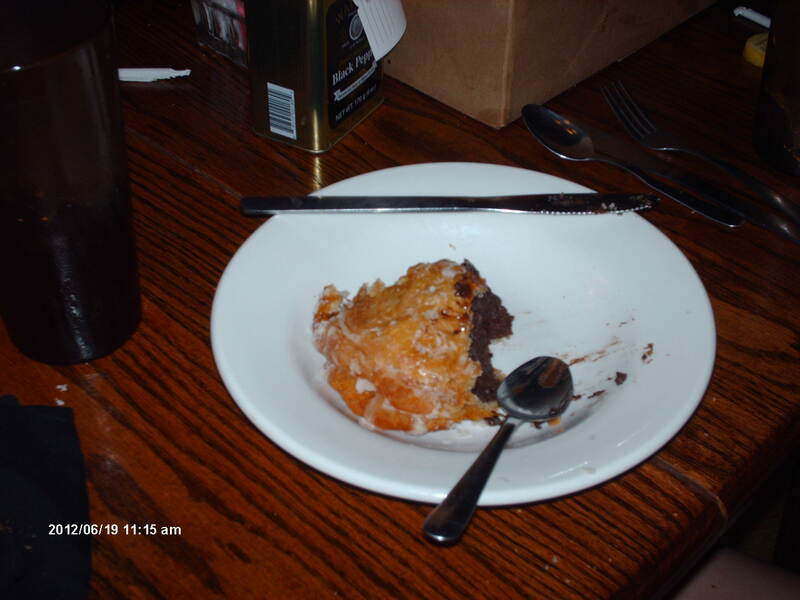 Fried chocolate pie !!! Words can’t describe how good this is. The fried pies sold in grocery stores are made with regular pie crust and taste like cardboard. Real fried pies are made with fluffy biscuit dough and resemble doughnuts. 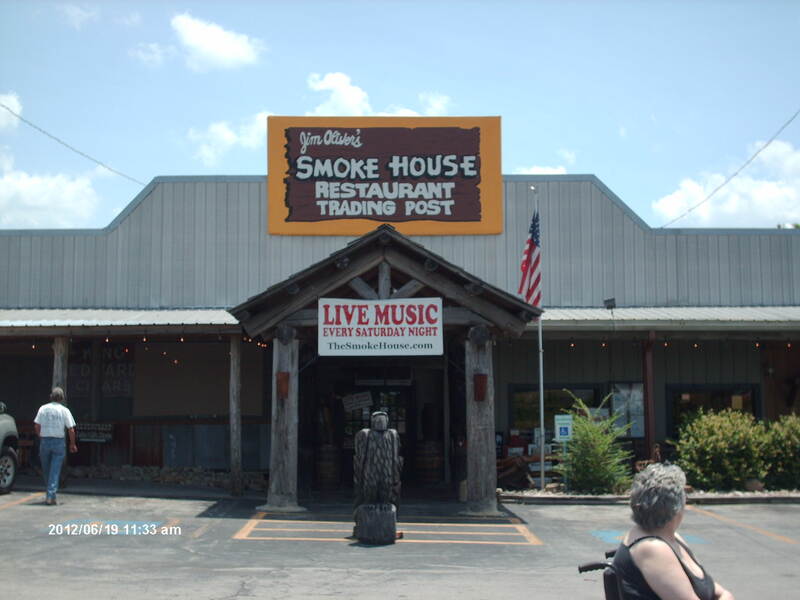 Jim Oliver’s Smokehouse offers apple-pecan, peach, coconut, chocolate, and blackberry. I had the peach. On request they serve it with homemade ice cream. One of the waitresses told me the fried pies sell out everyday. 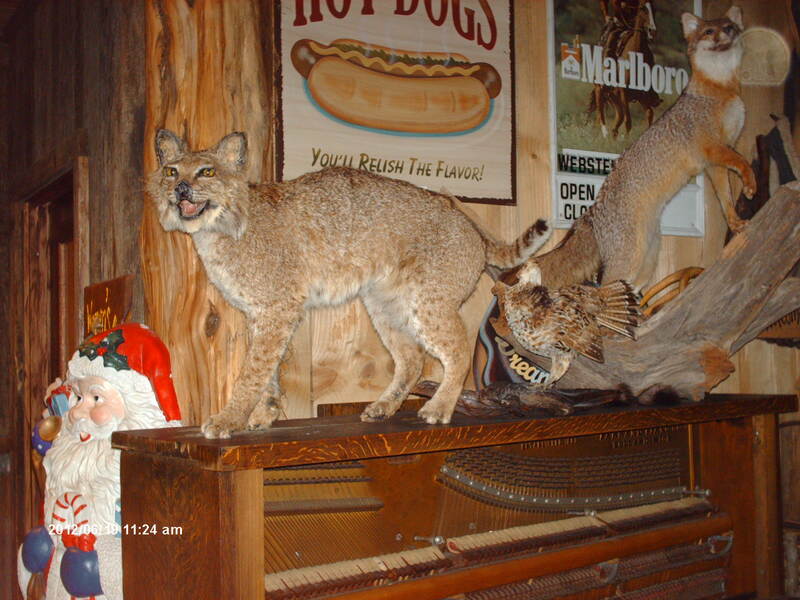 Mounted bobcat, ruffed grouse, and gray fox on top of an antique piano. That’s a particularly large specimen of bobcat (and fox). This bobcat’s hind leg is bigger than my pet cat’s entire body. 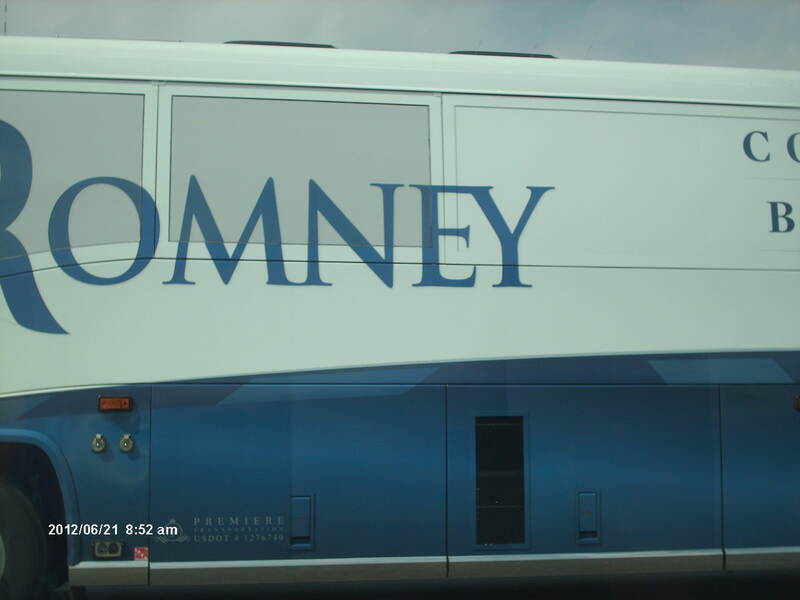 While traveling home on I-24 through Nashville, we drove alongside Mitt Romney’s tour bus by accident. What a coincidence. Yep, it is. If the American people are stupid enough to vote for a man who says “Corporations are people too, my friend,” than they deserve what they get. For those readers who don’t regularly follow my blog but might come across this entry on a random engine search, it’s necessary to resummarize my favorite fantasy which I irregularly discuss here. I fantasize that I live in east central Georgia 36,000 years ago before there were people in North America. I live in an adobe brick home with a garden, pasture, and fruit orchard surrounded by a stone fence designed to keep animals from consuming my food supply. I try to live as rustic as possible, but I did bring some modern conveniences back in time with me such as electrical generators, refrigerators, and televisions. I’m connected to the present day through a time tunnel in case I need to see a dentist or doctor and with cables running back and forth so I can communicate through internet and satellite television with the present day. The climate 36,000 years ago was an interstadial with pleasant conditions–much cooler than the present in summer, but only a little cooler in winter. I have a lighthouse-like tower connected to my home so I can view the surrounding countryside, and I make forays outside my protected area for scientific research, hunting, fishing, and nature photography. The land behind my homestead is a mesophytic slope forest consisting of beech, hickory, Critchfield’s spruce, and many other species. 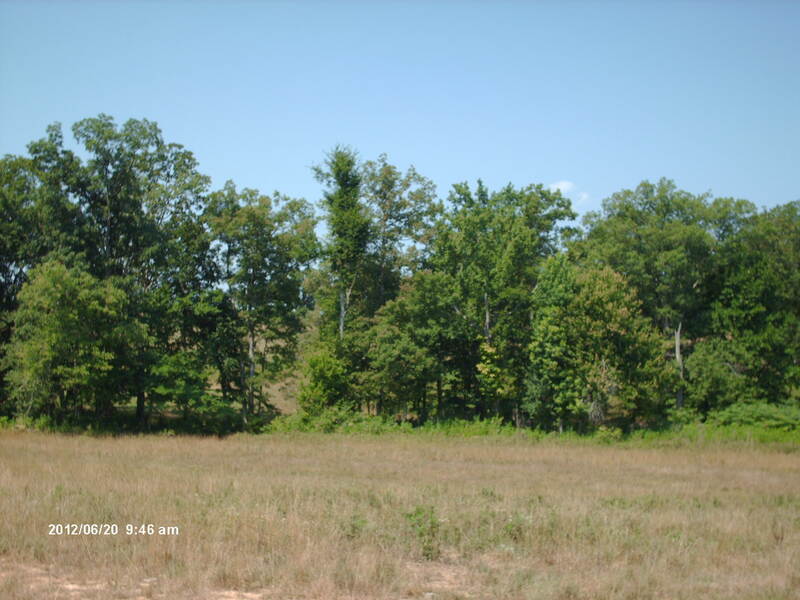 The land in front of my home is a dry upland savannah with oak, pine, and grass. Canebrakes grow along the streams, chestnuts forests grow on the high dry ridges, and there are many other interesting environments including virgin white pine forests, and an extensive burned over area where berry bushes and other second growth are resprouting. The whole vicinity is rich in pre-historic wildlife. Because I don’t want to return to the present, unless there is an extreme emergency, I try to be completely self-sufficient. This requires knowledge of applied chemistry. I need to make ethanol, lye, ammonia, and saltpeter. 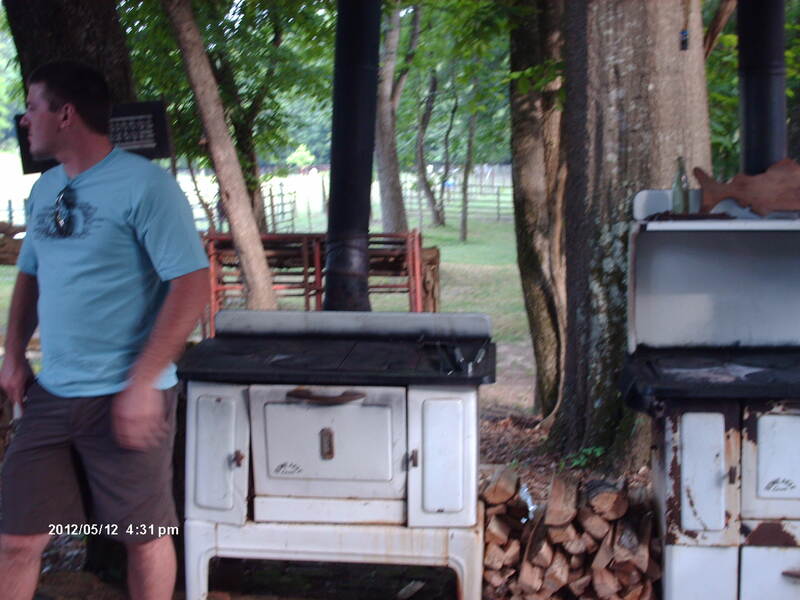 Woodstoves would greatly reduce my need for electical energy, yet I would need to generate some electricity for refrigeration and entertainment. Therefore, ethanol would be my most critical need. These woodstoves are at least 100 years old. They put out an amazing amount of heat. A person could lay in this pavilion in the middle of a windy winter’s night and still stay warm, thanks to just 1 of these stoves. There is a thermometer attached to the front, but I think I’d also have an electric stove for convenience and more accurate cooking. Wood stoves put out an incredible amount of heat. I would have several of these in my adobe house, and in my backyard under a pavilion in case the electrical power wasn’t working, and I needed to cook during the summer when it would be too hot to burn wood inside. Wood stoves strategically placed in the kitchen, living room, hallway adjacent to the bedrooms, and near the bathtub and toilet would preclude the need for central heating, and thus save a lot of power. However, in my kitchen I’d also have an electric stove for convenience and precision. I’d also have parabolic solar trough collectors to generate electricity, but solar heating doesn’t work at night nor during cloudy days, necessitating an electrical generator that uses fuel. In previous incarnations of this fantasy I’ve suggested that I would manufacture wood alcohol (methanol) from the abundant available wood. However, I actually studied the manufacture of wood alcohol and learned that it produces poisonous waste products and requires difficult to manufacture acids. The thought of manufacturing wood alcohol began to aggravate and eventually ruin my fantasy. Instead, I’ve switched to ethanol or grain alcohol (ethanol). I learned that Jerusalem artichokes, also known as sunchokes, yield the most ethanol of any cultivated plant–more than sugar cane, sorghum, or corn. This wonder vegetable can produce up to 1200 gallons of ethanol per acre which is probably far more than I’d need. Sunchokes grow like a weed and need little to no cultivation. They grow in my real life yard, and I did nothing to propagate them after originally planting about a half dozen tubers 10 years ago. They’re in the sunflower family but produce no edible seeds. Instead, little tubers that taste like water chestnuts (but much superior in taste to the canned ones) grow at the ends of the roots. Some little tubers always remain in the ground after harvesting, so there is never a need to replant because they regrow thickly no matter how thoroughly they’re dug. In fact, I’ve accidentally spread them to other parts of my garden from sunchoke peels I put in my compost. 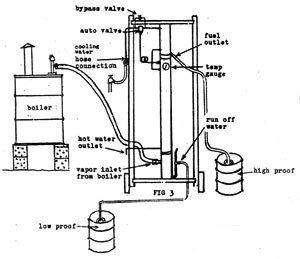 Diagram of a still to make ethanol. Much safer, cleaner, and easier to make than wood alcohol (methanol), the substance I originally fantasized about making to run my Pleistocene electrical generators. Jerusalem artichokes produce the best ethanol yield of any plant–1200 gallons per acre. 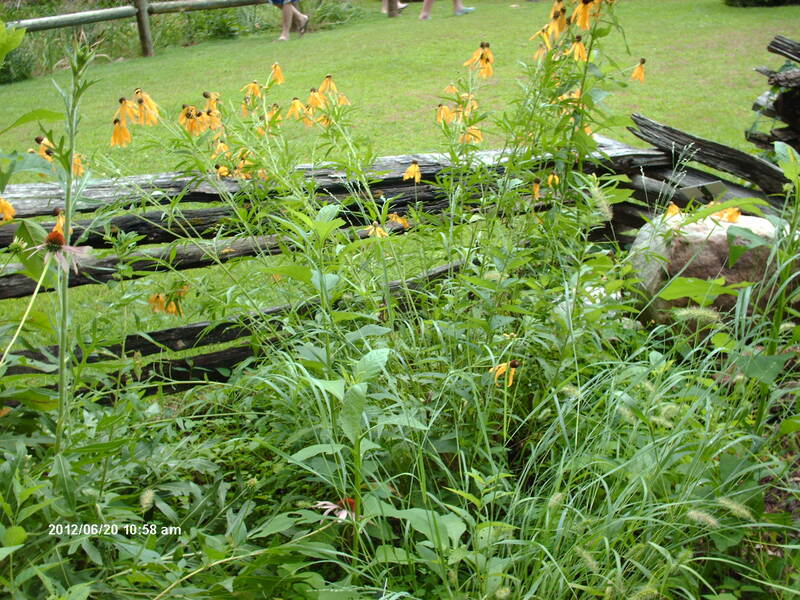 Jerusalem artichokes grow like a weed and need little to no cultivation. Converting sunchokes to ethyl alcohol is a simple process. Add yeast and a little sugar to crushed sunchokes to instigate fermentation. Then boil the “sunchoke wine” and condense the steam in a still to distill the alcohol (C2H6O) into a more pure form. Incidentally, if I was desperate for alcohol to get drunk, both the wine and the liquor would be drinkable, unlike wood alcohol which is a deadly poison. This alcohol is good to use for my generator and vehicles. Making my own soap requires the manufacture of lye (NaOH). Again, this is simple applied chemistry. To make lye, add rain water to wood ashes collected in a barrel. Ground water has too many dissolved minerals that might interfere with the chemical reaction. Let the ashes dissolve in the rain water. Then to make soap mix grease (animal fat, peanut oil, or etc.) to rain water. Boil with a mixture of ammonia, borax, salt, and sugar. When cool add the lye diluted with rain water. (If lye is added when the mixture is hot, it will explode.) Shape into bars. If a perfumed soap is desired, pine needles or flowers can be used to infuse the soap early in the process. This is about all the equipment necessary to manufacture ammonia. Ammonia (NH3) may be the simplest chemical compound to make. Urinate in a bucket and add water. Cover the bucket with a top that has air holes. Evaporation converts the urine to ammonia, a strong base that can be used as a cleaning agent and an ingredient in soap. Colonial manufacture of saltpeter, an ingredient in gunpowder. I suppose I could easily bring back in time a lifetime supply of saltpeter, but let’s imagine I forgot it and want to avoid a return trip through the time tunnel. Used in small quantities, saltpeter helps preserve meats such as bacon, smoked sausage, corned beef, and ham. It’s the ingredient that makes those meats turn an appetizing red from what otherwise would be a dull gray. It can also be used as an ingredient in gunpowder which I wouldn’t need because I’d use bows and arrows. To make saltpeter (KNO3), it’s necessary to collect the nightsoil underneath the chicken and goose houses and milk cow barn. Put the nightsoil on top of a layer of sand in a vat with an outlet hole. Add water and collect the effluvium that exits the outlet hole in a copper pot. Boil this liquid and saltpeter is the precipitate. It can be scraped off copper sticks and the bottom of the pot. I wouldn’t need gunpowder, but for the record it’s made from saltpeter, charcoal, and sulphur. To make charcoal (which I would make once a year for grilling) all that is needed is a type of smokestack known as a retort. Stack pieces of wood in the bottom half of the smokestack and let burn slowly. Vents need to be on the bottom half of the smokestack, so enough oxygen can enter and keep the slow burning fire going. Sulphur is supposedly abundant, but I’d need to locate a sulphur spring and evaporate the water to concentrate the element. The only sulpur springs in Georgia I’m aware of is clear on the other side of the state. But I doubt I’ll have any use for gunpowder in my fantasy Pleistocene world. Nice illustration of male and female cowbirds. During the Pleistocene there were twice as many species of cowbirds as there are today. Cowbirds require fragmented habitat with a mixture of woodland for nest parasitism and grassland for foraging. 70% of large mammal species became extinct at the end of the Pleistocene, but very few birds did–evidence supporting overkill models of extinction over those of climate-induced ecological change. Of the few species of birds that did become extinct, almost all were commensal species dependent on the existence of abundant populations of large mammals. Most of the extinct Pleistocene birds were condors, vultures, and eagles–the scavengers that relied on carcasses of mammoths, mastodons, and other megafauna. But there were also 2 species of cowbirds that depended on large herds of grazing animals, and they couldn’t survive the North American extinctions of the grass-eating mammoths and horses. Cowbirds are in the blackbird family. There are 2 extant and 2 now extinct species. The brown-headed cowbird (Molothrus ater) occurs all across the continent, while the bronzed cowbird (Molothrus aeneus) is restricted to the southwest. Fossils of the Pleistocene cowbird (Pandaneris convexa) have been found at the La brea tar pits in California, at least 2 sites in Florida, and 1 in Virginia, so evidentally it was widespread. Pyelorhampus sp., another Pleistocene species, left fossil evidence in New Mexico. Its geographic range is unknown. Fossil evidence of the 2 extant cowbirds has also been found in Pleistocene fossil sites. Cowbirds abounded in the world of the Pleistocene because ecological conditions were ideal for their lifestyle which is a fascinating one. During spring and early summer cowbirds spend early morning hours hunting woodlands for other bird’s nests. When they find a nest filled with eggs, they carefully wait for the parent to leave. As soon as they have a chance, the cowbird will lay her egg on the other bird’s nest and abandon it to be cared for by the unwitting other bird. This is known as obligate brood parasitism. Non-obligate parasites are birds that parasitize nests of their own species. The cowbird is an indeterminate egg layer capable of laying 30-40 eggs over a 2-3 month period. That equates to at least 30 parasitized nests per cowbird. No wonder they’re so plentiful. The cowbird chick usually hatches first and is so much bigger than the other nestlings that they outcompete them for food and may even shove them out of the nest. Cowbird chick in the nest of another bird species. Note it’s about 4 times bigger than the host nestlings. Few nestlings survive the competition with the bigger chick. Very few nestlings ever survive a parasitized nest. Cowbirds are known to successfully parasitize 144 out of 220 bird species, but many birds have developed successful defensive strategies. Shrub nesting birds such as kingbirds and mockingbirds mob and drive off cowbirds before they can lay their eggs. Birds that live in deep forest are more naive than shrub-nesting birds, but some learn to recognize a cowbird egg and will knock it out of the nest. Others build a new nest over the old one and lay a new clutch of eggs. One report mentions a 5 story nest built over repeated parasitic attempts. And a few species simply abandon the nest and build a new one elsewhere. Some parasitized nests are doomed to failure because the diet of the host species is too dissimilar. Cowbird nestlings can’t eat food brought by gulls and hawks because it’s too meat-centric, while that brought by house finches is all seeds and not enough insect. Nevertheless, cowbirds are so successful that in 1 year they replace 100% of numbers killed in biological control programs meant to protect endangered species such as Kirtland’s warbler. Efforts to control cowbird populations are probably misguided. Anthropogenic habitat destruction is the cause of every single listing of a bird on the endangered species list. Cowbirds are only part of the natural mortality these birds have evolved with for millions of years. Some ecologists fret about the habitat fragmentation caused by modern development and how this creates habitat favorable to cowbirds but detrimental to deep forest species such as vireos and warblers. However, Pleistocene environments in North America south of the ice sheet are interpeted through pollen records as having been a patchy fragmented mixture of woodland and grassland–the ideal habitat for cowbirds. After spending spring and early summer mornings searching though the woods for a nest to parasitize, the females fly to the grasslands and join the males. They closely follow herds of bison (formerly) and cows (more commonly since the 19th century) because they prefer short-grazed grass over tall grass. Although insect diversity is higher in tall grass, grasshopper and leafhopper density increases in short-grazed grass, providing the birds with a banquet. The shorter grass also gives the cowbirds greater visibility, so they can avoid predation. The cows themselves give the cowbirds a place to perch where they can get an even better view of possible danger. Brown-headed cowbirds survived the end of Pleistocene extinction because of their close attachment to bison. Pandaneris convex may have had a closer attachment to mammoths and/or horses–the 2 other great grass-eating beasts of the Pleistocene. And when they became extinct in North America so did this species of cowbird. Perhaps, the paleoindians even saw them perched on the backs of mammoths and knew them as mammothbirds. In late fall and winter different species of blackbirds (cowbirds, red-winged, rusty, grackles) flock together. They are the only large flocks of birds I ever see. Most other flocking birds have been decimated and are rarely seen in the numbers of yesteryear. A ~15 pound snapping turtle (Chelydra serpentina) crossed Hephzibah-Mcbean Road a few weeks ago. I decelerated my Toyota Corolla and took a closer look, but unfortunately I didn’t have my camera and couldn’t take an original photo. This part of the road is at least a mile from any body of water, so it was surprising to see an aquatic animal that far from any creek or pond. The encounter inspired a little research of chelonian literature. I now know the turtle was a female. Male snapping turtles never leave water unless their pond dries up. But females travel as much as a mile from water to dig a nest where they deposit their eggs. This habit seems like an evolutionary disadvantage because the long slow trek to water for hatchlings and mother increases the risk of predation. Birds and small mammals take a heavy toll on hatchlings. One report in the Journal of Mammalogy notes a case of a black bear tearing the shell off an adult snapping turtle, a potential problem in wilderness areas, though in today’s developed world, automobiles pose the greatest risk to adults. Yet, the risk is worth it to avoid inbreeding and to facilitate the spread of the species over a wide geographic area, ensuring there will be turtles in place to inhabit newly created ponds. Apparently, the decrease in fertility from inbreeding combined with the chance of becoming isolated in ponds that eventually dry out eliminated more turtles from the gene pool than predation of turtles on their long overland colonizations. This snapping turtle must be a female looking for a place to lay eggs. Snapping turtles are omnivores, eating aquatic plants, small invertebrates, fish, frogs, small mammals, and ducks. Their horny beaks are dangerous weapons capable of destroying a duck or removing a finger from a careless human. They can grow up to 45 lbs. and live to be 50 years old. After they reach 5 lbs. or more they become a top predator in their environment. They are still common everywhere, even in city and suburban ponds, and they were even more plentiful in pristine Pleistocene times. So plentiful in fact that along with other turtle species, they were probably a more common item in the diet of the paleoindian than the extinct megafauna were. Turtle shells have been found associated with Clovis tools at many archaeological sites including Aubrey, Texas; Blackwater, New Mexico; Kincaid Shelter, Texas; Levanille, Texas; Shawnee Minisink, Pennsylvania; and Sheridan Pit, Ohio. Turtle remains from the latter site were specifically identified as snapping turtle. Turtle was an abundant and easily procured source of protein for paleoindians, and nutritionally served up a double bonus. In addition to the meat female turtles traveling overland carried 30-40 eggs–an important source of fat, vitamins, and minerals. Turtle eggs are supposedly every bit as delicious as chicken eggs. However, there is a curious characteristic about them that differentiates them from chicken eggs. When boiled the yolks turn solid, but the whites remain runny no matter how long they’re boiled. Georgia Leonard Herter, author of the Bull Cook and Authentic Historical Recipes and Practices, claims turtle eggs are superior to chicken eggs for baking. I’ve never eaten turtle meat, and I rank it second only to squirrel of wild game meats I’d like to try. (I collect vintage cookbooks. They all have nothing but good things to say about squirrel which is reputed to make an excellent gravy.) 100 years ago, turtle was popular across the country, and every fine restaurant served turtle soup. Now, it is relegatd to regional delicacy, popular only in Louisiana and a few mid-Atlantic states. Most kids today, raised on a sanitized diet of pizza and chicken nuggets, would probably be revolted by the idea of eating turtle. I was amused to read some woman complain on her blog when she bought snapper soup, mistakenly believing she was buying red snapper soup, not turtle soup. (Fish soup in a can didn’t sound bad enough?) When she came home and carefully read the ingredients, she was outraged and grossed out. She blamed the company making the soup as if they were being deliberately deceptive. She thought it bizarre that anyone would eat turtle. My objection to turtle meat is the price and availability. There is none, not even canned turtle soup, sold in any Augusta, Georgia supermarket at this present time. I used to see the canned soup, but not anymore. Online prices are $18 a pound, not including shipping. I’m not paying that kind of price for meat that’s probably tough and best put through a meat grinder. I suppose I could always catch one. The way to kill and clean turtle is gruesome. One is supposed to tease the head with a stick. When the turtle snaps and latches on the stick, its neck is extended, and a short hatchet can be used to chop off the head. Euell Gibbons then suggests scrubbing the shell down with soap and water to wash off the mud before butchering. I may have to wait for the apocalypse and desperate circumstances to go to that much trouble for protein. You are currently browsing the GeorgiaBeforePeople blog archives for June, 2012.